Following on from our work using Google Forms, we decided to look specifically at the first 10-15 minutes of a lesson, and how we can use iPads to create effective and successful starters. We looked at Showbie Discussion, Socrative, Kahoot, and in particular, Padlet. Padlet is an online virtual notice-board, where students and teachers can collaborate. Although not necessarily as a starter, I displayed an example of how I had used Padlet previously for student reflections. Students uploaded a picture of their group, where peers then left comments in the form of a WWW/EBI. 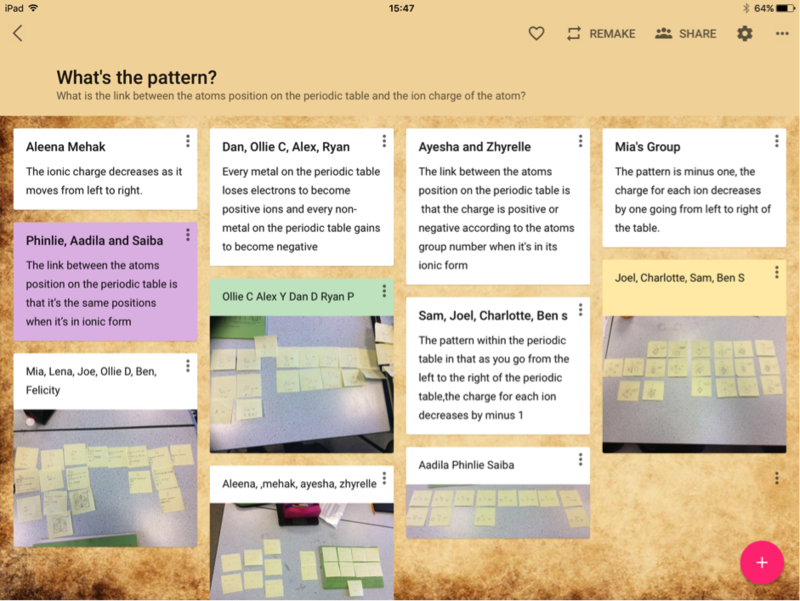 As a starter, members of the PDC have used Padlet in a variety of ways. One way is to ask an initial question, and to get students to respond with what they know so far. This “what’s the pattern?” example allowed students to respond to the question and read how others had responded in real time. We could then ask students to choose and justify the most accurate response. Another example asked students to describe the Cratchits in ‘A Christmas Carol’. As students posted and read other responses, it was interesting to see key terms cropping up again and again, reinforcing key themes. Padlet is also a really useful platform to share short video files. 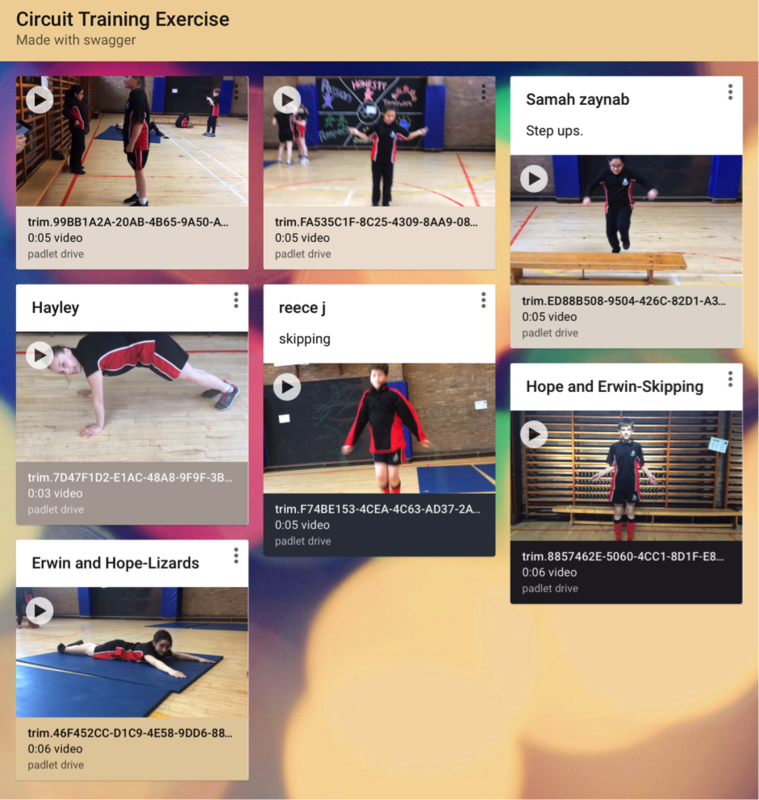 Students in one class were asked to upload and then watch various fitness exercises. This could then prompt a discussion into which is most effective. It is also useful to watch again later in the lesson to see real progress. 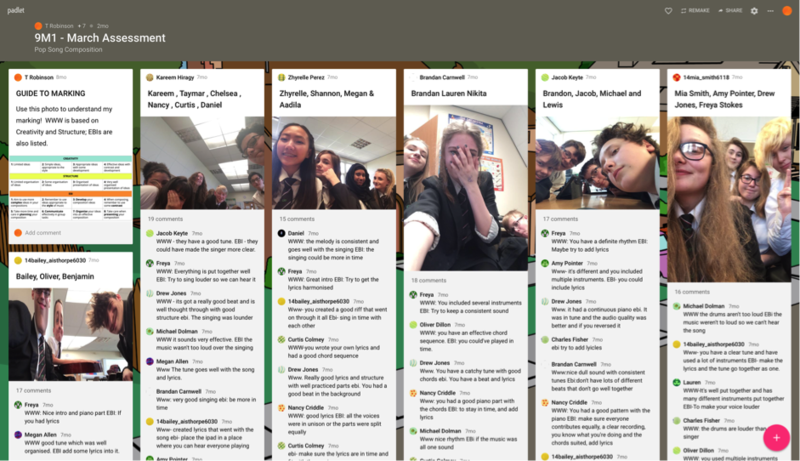 Padlet really does hold great potential for activities within the lesson. If you are interested, some other fantastic uses of Padlet can be found here.